American Sky can tailor-make your next holiday whatever your budget. This holiday came about because some of our family were to be in Las Vegas on 2nd April this year and they asked if we would like to meet up. We started looking at American Sky’s two centre trips but quickly realised that we needed a longer trip. We ended up booking four nights in Los Angeles at the Marriot Beverly Hills (just the two of us); four nights in San Francisco at the Sheraton, Fisherman’s Wharf (where we joined up with the family) and finished with four nights in Las Vegas at the Venetian. American Sky chose the LA Marriot and it was tremendous. We chose the other two so that we were together with the family. The Sheraton was not as plush as the Marriot but was in the best location in San Francisco as it was right on Fisherman’s Wharf. We would recommend the hotel and its location to anyone. The Venetian is unbelievable. It is hard to describe it; you need to have stayed there! We chose to use American Sky because we previously had a trip through the Rockies on the Rocky Mountaineer and on to an Alaskan Cruise which they organised about four years ago. Our previous experience with them was first rate and we had no hesitation in returning to them for this trip. They were able to alter their advertised itineraries quite radically to suit our specific demands. They also booked our long haul flights from Heathrow with BA and our internal USA flights with Virgin America. All the travelling went exactly as planned. The highlights of our trip were numerous but these stand out. We booked ourselves the helicopter trip to the Grand Canyon from Vegas with a landing and a picnic down in the Canyon. None of us will ever forget this. 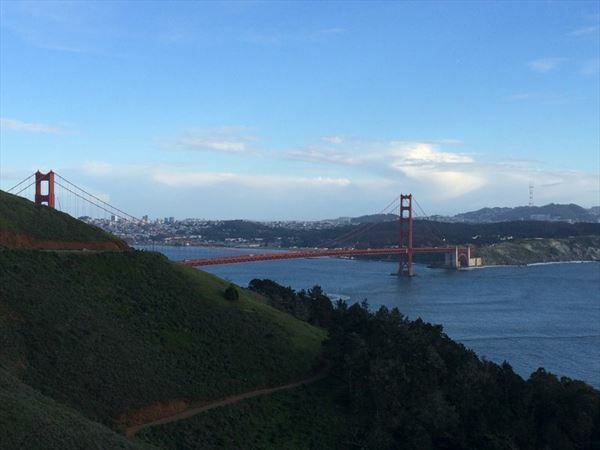 We pre-booked an Alcatraz trip in Frisco at dusk and this was better than I had expected. You really do need to book this before going on holiday as the next available trip when we got there was in six days’ time. Vegas itself is a giant highlight (if you have not been before). The big new hotels are awesome and just walking on the strip has to be seen to be believed. We had heard many stories about the strip before we went, but believe that Vegas has been cleaning up its act and it is now a far classier place than it used to be. The highlight of our stay in LA was just living in Beverly Hills. It is a really attractive place and it feels safe to walk in during the day and evenings. We had an all-day City Tour which took us to many of the main sights. We saw so many iconic images that day that we lost count. 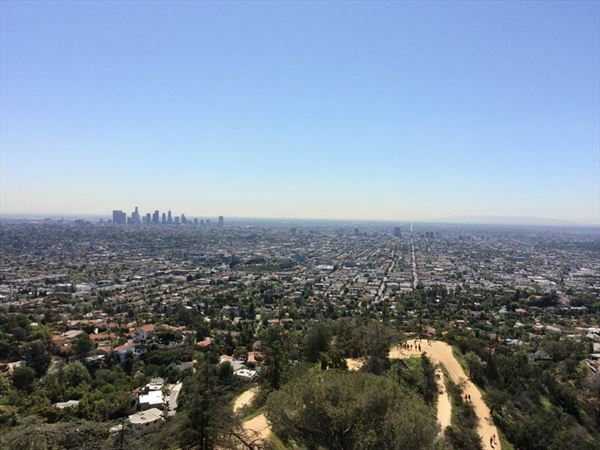 Our favourites were Santa Monica, where Route 66 meets the Pacific Coast Highway and Griffith Park from where the views of LA are stunning. We came home to many wonderful memories but we all agreed that, while we had thoroughly enjoyed our trip, we would probably not return to LA or Vegas but would certainly love to return to San Francisco. We would have no hesitation in using American Sky again or in recommending them to anyone considering this type of trip. 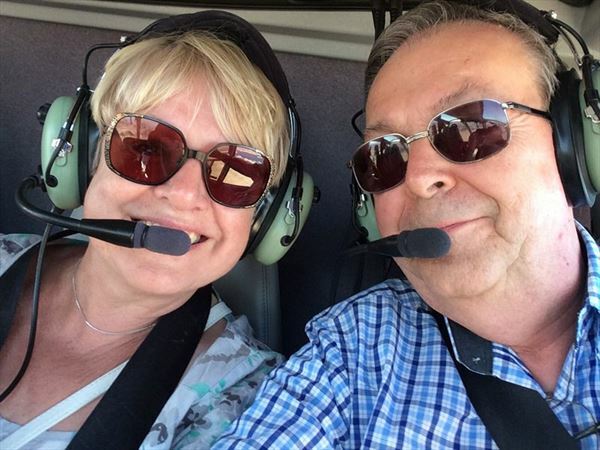 We would like to thank Len and Linda for sharing their story with us and hope to welcome you on another holiday soon.